ATTENTION: CLICK HERE FOR UPDATED THREE PURE RIVERS STUDIO FOR THE ARTS QIGONG/TAIJI CLASS SCHEDULE EFFECTIVE MONDAY SEPTEMBER 4, 2017. CLICK ON THE BELOW LINKS TO LISTEN TO MY APPEARANCES ON QITALKS, THE MONTHLY PRESENTATION OF LEADERS IN THE WORLD OF THE ENERGETIC ARTS PRESENTED BY THE NATIONAL QIGONG ASSOCIATION (NQA). Is dedicated to the return of balance and harmony that can only be achieved through purification and cultivation of the three rivers that make up the stream of our existence. 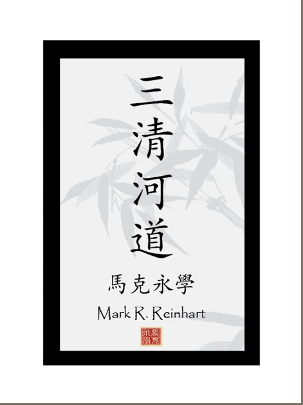 In Classical Chinese thought, these three aspects are referred as the 'Three Treasures.' It is the view of San Qing He Dao that the concept of a 'treasure' leads to the view that one can approach the three as separate aspects to be cultivated individually. However, is it possible to separate the three as they are interdependent and function concurrently? Three tributaries, or currents per se, simultaneously flowing as we travel the stream of this existence. Regardless of which aspect is the focus of your cultivation, the other two are involved to varying degrees. For example, to focus on the cultivation of Jing, Shen must be engaged via intention in order to mobilize and focus the Qi. Cultivation of Qi requires, once again the focused intention of Shen combined with the proper alignment and physical awareness/positioning of the Jing. 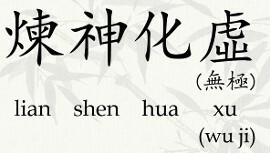 Cultivation of Shen requires the refined alignments of Jing and Qi. As a musician, my life has been one of cultivation. Learning to play an instrument and pursuing the art to its higher levels provides a practical and easy-to-grasp model of the concept of cultivation, or alchemical transformation. After all, isn't music nothing more than a manifestation of energy and vibration, refined and manipulated by the musician, utilizing the vehicle of an instrument? Does the sound frame the silence, or does the silence frame the sound? We live in, and at the same time are a part of, a vast sea of energy. Put very simply, all energy exists in the form of a wave (at least in model of energy at the heart of the Chinese tradition). The wave consists of a crest and trough. Without this alternation between crest and trough there would be stasis. It is not the individual wave, but the interaction, or relationship between various manifestations and densities of energy that some describe as Qi. The Yin/Yang Symbol (taiji tu) depicts this concept and affords us the opportunity to understand the dynamics of not only energy itself, but also the cyclicality of energy when applied to the linear passage of time - life as we experience it. The above depiction shows the triadic nature of existence from the Chinese tradition. It illustrates the evolution of the three aspects (rivers) of our existence and how, although composed of the same 'energy', the varying and increasing densities of this energy can provide the framework for living a balanced and harmonious life. That is, if we choose to take responsibility for learning, implementing and living in accordance with what the energy has to teach - the path of the sage. In music you generally have two staves which, when combined linked together, form what is called the Grand Staff. The above example shows a Grand Staff in which the upper set of five lines and fours spaces is referred to as the Treble, or G Clef (pitches usually in the higher register), and the bottom set of lines and spaces being referred to as the Bass, or F Clef (pitches in the lower register). In between the two clefs is a note referred to as 'Middle C.' Not only does Middle C reside at the center of the piano keyboard, but it connects the Bass and Treble clefs in the Grand Staff. The attached stems and flags on the Middle C note determine which clef it is read in, but regardless of the clef, it is the same pitch. I have replaced the upper (Treble Clef) sign with the Chinese character for Heaven (tian) and the lower (Bass Clef) sign with the Chinese character for Earth (di). The note in the middle represents Humanity - the linking conduit between Heaven and Earth. The interactions of the energies of Heaven and Earth provide an elegant symmetry of cyclical design and movement. If we choose to align ourselves with these operating principles, we have chosen the path of the Sage, or in some texts, the Superior Man, who lives out his or her days in harmony, peace, good health, and living their curriculum for this existence. Heaven and Earth are at peace (or at least as far as we can observe). Man, however, is in the unique position of being able to choose. Herein lies the root of, in my opinion, all dysfunction. Combine the power of choice with the un-tempered human ego and you have the recipe for chaos. Heaven, Earth, and all of nature will always seek, and ultimately return to their inherent state of balance (a sort of universal homeostasis) no matter how much time that may take. How man views time is another example of the short-sightedness of the ego. Man, being "a part of and not apart from nature", is also programed with the innate body-knowledge of homeostasis... our bodies know what optimal health is... once again, WE get in the way! Kind of ironic when you think about how the very thing whose prime directive is survival, the ego, when allowed to run amok, is usually responsible for the shortening of our lives in some way, shape, or form. For the vast majority of people, how they view their life is the way it manifests. We are creating our own realities all the time, constantly gathering sensory data and processing it based on the past cumulative mosaic of information we have been compiling since birth. How that information has been processed and interpreted, determines how we react and respond to the things in our life. It's not terribly difficult to figure out what someone is thinking, or how they are viewing their world... just examine their body language. From the perspective of the Path of Three Rivers: thought (Shen) determines the mobilization of energy (Qi) which ultimately animates the physicality (Jing). Simply deciding to "change your mind" regarding one's perception of the world rarely works since we have programed our physicality well into the unconscious muscle-memory level. Most people with whom I work are disconnected to the point of not being able to locate various muscle groups, let alone release any excess tension they may be holding. The process of re-balancing, harmonizing, and ultimately healing (what ever your definition of that word may be) needs to begin with the reconnecting of the person with their bodies. Held physical tension, put in place by mobilized perceptions of sensory information gathered and processed by the person, in effect, structurally armor the person. The thicker the armor, the more difficult it is to live in peace with the world around you. In accessing and ultimately releasing areas of physical tension, the Qi is allowed to flow more smoothly, nourishing the body resulting in a better state of health. Then, once the person is enjoying better health, sleep, immunity, etc. they begin to release mental tension as the Shen can now see the world in a more balanced and neutral way. It is the nature of all thing to aspire, or return to heaven. Every seed, once awakened as the germination process has been set into motion, does not ponder what it needs to do. The Law of Signatures dictates: as in nature, so in man. So it is one of the Insanities of Humanity to proceed under the assumption that the rules of nature do not apply to us. But therein lies, in my opinion, the seed of all dysfunction, the basic flaw of man: the thought of being separate. The Chinese Alchemical tradition compares the refining of our three treasures (rivers) to the transmutation of lead into gold. This is depicted by viewing the process as a type of firing (lian) of the elements in order for the refinement process to take place. Once again, drawing from my musical background, I have found this process to be the same when applied to the various levels of learning to play a musical instrument. Subsequently, this approach can be applied to pretty much any form of development, and I feel, provides the most effective pathway to optimal development. Music: This is the period of first beginning to study an instrument. One needs to train the physicality: learn how to hold and properly position both the instrument and yourself, become acquainted on the experiential level with the nature of the instrument and the written and tonal language of music as it is produced on that instrument. Qigong: This begins the process of reconnecting a person with their bodies. Reacquainting the person with the principles of structure and alignment, proper bio-mechanics, awareness of breath, and something as seemingly simple as transferring weight from one leg to the other. This period can be extremely challenging for many as this, in all likelihood, will the be the first time they have ever paid this close attention to how they stand, move, and breathe. Music: The indicator of readiness for the next stage of cultivation becomes aparent when the student begins to execute the music smoothly and in an even tempo. All physical requirements need to be in place, or at least cultivated to an intermediate degree before the music can flow. Once the music begins to flow smoothly, what Mozart referred to as "flowing like oil", the further refinement of technique can continue. Qigong: The posture has been retrained allowing for smooth execution and transitioning between individual movements and positions. The student has begun to connect the dots: smoothly linking individual postures and movements as the teacher can 'see' the qi flowing through the students limbs as they move. The student's movements flow "like pearls on string." "A structured passage of time needs to occur in order for the art to exist." Music: This is the stage of further refinement of musical understanding and technique. The player begins to develop the ability to improvise. A player gains the ability to be present and allow the environment to dictate what they will eventually play. Or they may begin to access the creative realm where they become a conduit and eventually gain the understanding that in reality, there is no instrument, no music, no player. The three aspects merge into one inseparable process. Three merging and functioning as one. 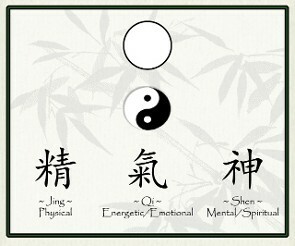 Qigong: The ultimate form of any of the movements arts is that, if you are moving and breathing, you are performing them. Residing in a balanced state of neutrailty and peace, you flow through life, experiencing, understanding, and accepting the world as it is, without judgements, desires, attachments, or aversions... the path of the Sage. There is no you, no movement, no breath. The three aspects merge into one inseparable process. Three merge and function as one. 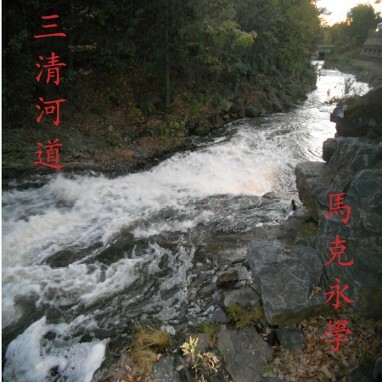 The above is a brief outline stating the views and approach of The Path of Three Pure Rivers (San Qing He Dao). Purifying, balancing, and harmonizing the Three Rivers of our lives can be applied to everything we do. But there is no one standard way to approach the implementation of this or any other teaching for that matter as, in the Chinese Tradition you must always, "Treat the individual." Find a 'path with a heart' and as you walk it, your teacher(s) will appear. Always remember that change is a process, not a destination. The pursuit is the reward. One of my favorite Zen sayings: "It's really nothing special."